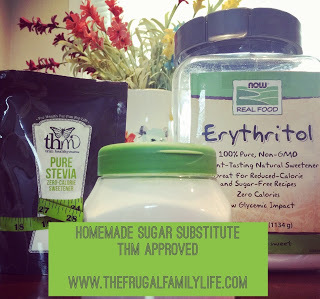 The Frugal Family Life: SavingStar :: 100% FREE Mentos! SavingStar :: 100% FREE Mentos! 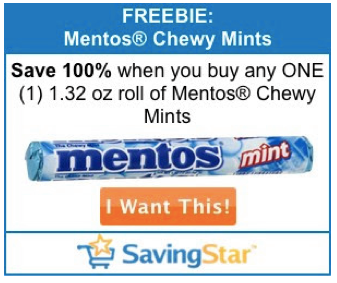 Today’s Freebie Friday deal over at SavingStar.com is for 100% back when you buy one 1.32 oz roll of Mentos Chewy Mints – valid through 8/24 only. New $.55/1 Nathan's Beef Franks Coupon! Ibotta :: How Does it Work? $19 in NEW Hasbro Game Coupons! High Value $1/1 Eckrich Smoked Sausage Coupon! Elf on the Shelf ONLY $9.99 Plus Shipping! $1/2 Red Baron Pizza Coupon Plus $10 Movie Cash! 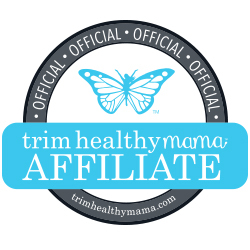 New Libby's Veggies & Fruits Coupons! New $1/1 Jif Hazelnut Spread Coupon! Gospel for Asia :: 2 FREE Books!! $.50/1 Kraft Mayo or Miracle Whip Coupon!! 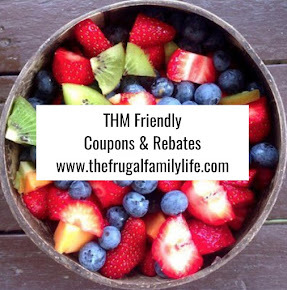 $1/2 Welch's Fruit Snacks Coupon! FREE Hammermill Copy Paper at Staples! !